AOL is ramping up its 'original' short-form entertainment content by launching five new series across its sites, The Huffington Post and Engadget, sealing its commitment to being a 'story-telling platform'. The series’ will be hosted across AOL’s editorial sites, The Huffington Post and Engadget and will be created for the first time by its own in-house production teams. The network revealed the new series at today's IAB’s Digital Upfronts. They include 'Tech Hunters', 'Antarctica: The Last Wilderness', 'The Chefs’ Chef', 'The New Activists' and 'Fearne on Fashion'. AOL will also continue to create more content for its 'Build' series and 'Makers' series. 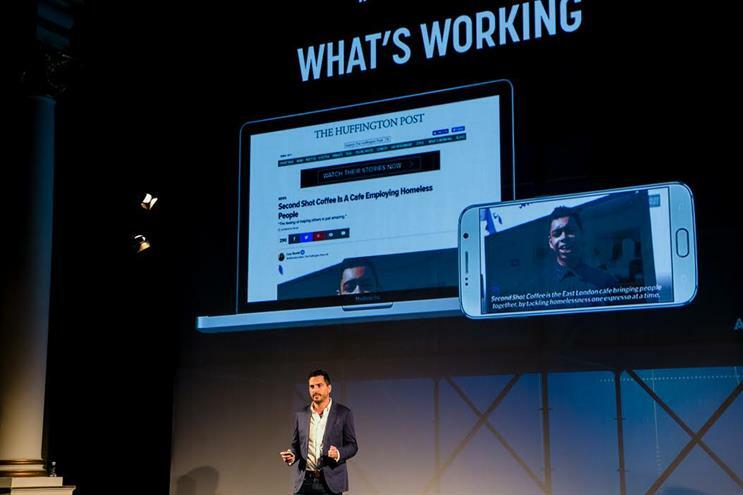 Speaking to Campaign, AOL's UK managing director Stuart Flint, said the business was making content first and foremost for consumers. He insisted that, although this content needed to be funded by advertising, it would only be produced if the brand was the right for the programme. Flint said: "We created our UK studios this year and our editorial teams are becoming their own video creators. We want to work with brands but only it’s the right fit for the programme. We will help advise brands." 'Tech Hunters' will be a new 10-part 'Engadget Original' series and created by the first production team from AOL UK Studios. Engadget presenters will hunt for the ultimate retro gadgets that consumers were obsessed with growing up, before tracking them down, fixing them and playing with them before selling them on for a profit. The series 'Antarctica: The Last Wilderness' will be a Huffington Post Original two-part documentary series shot on location and featuring 360 content. The AOL UK Studios team will accompany British explorer Robert Swan, the first person to walk unsupported to both the North and South Pole, focussing on his mission to persuade the world to invest in renewable energy, rather than mining the Antarctic. 'The Chefs’ Chefs' will launch on The Huffington Post with each episode featuring a different world-class chef who takes viewers on a pilgrimage to a favourite restaurant that has inspired them. AOL’s new reality show, 'The New Activists', has been created by the producers from popular reality show, Made In Chelsea, and followers young activists who travel the world to make it a better place. In addition, AOL has launched 'Fearne on Fashion', which was unveiled last month. The 10-part Huffington Post factual entertainment series is hosted by broadcaster and fashionista Fearne Cotton and dives into the fast-paced world of fashion and speaks to some of the biggest names in the industry.